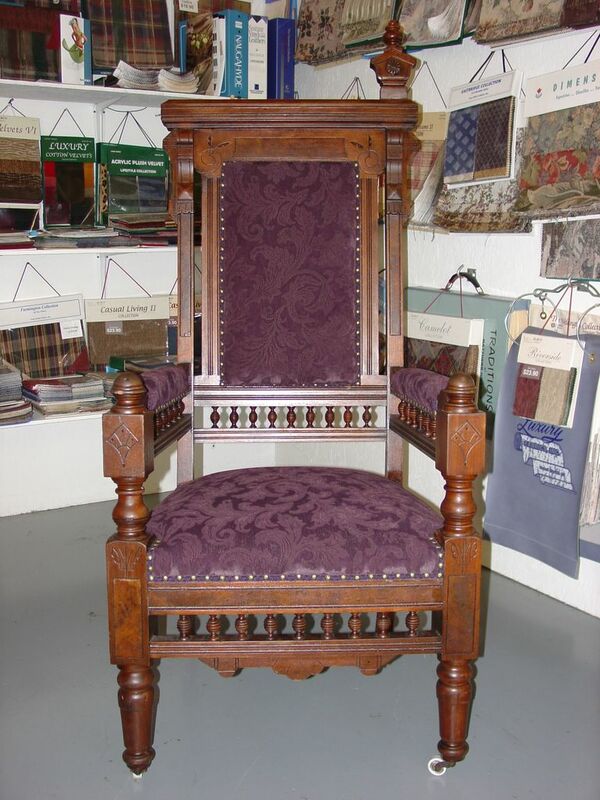 This beautiful old antique chair became known as the "Throne." 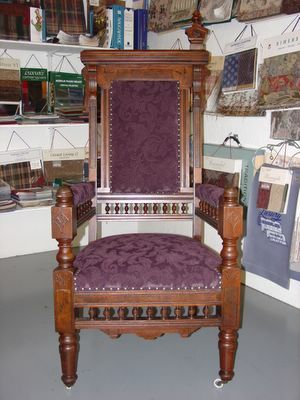 The seat, back and arms were completely repadded, upholstered and new trim applied. In other words, all we used was the outstanding frame. It went directly from our shop into a new home. The chair is missing one of the top finials. The customer told me he had it at home, and would reattach it later.